Long gone are the days where payroll is a complex, confusing, and time-consuming process. A Payroll solution is a software that’s used to streamline and automate the payroll process and making it simpler than ever before. So, what does a payroll software do? It manages, organizes, and automates the employee payment. It tracks all payments and maintains all payment records. Payroll software will also allow management to monitor time and attendance, tax information, and pay structure. Any growing business currently should have a payroll that fits their needs so that they could grow. Payroll software will handle payroll in-house, saving you the money of contracting a third party to process payroll for your business. This also means that your employees’ confidential data is more secure than ever. It's also faster and more accurate than humans, and it keeps all the records neatly, so you never have to drown in a sea of papers to find this small piece of information you never thought you would need and is buried under a pile of files. Simply put, a payroll software makes the payroll process simpler, faster, and more accurate than ever before. So, today, we take a look at three of the most popular payroll software out there, to see if one of them fits your needs. 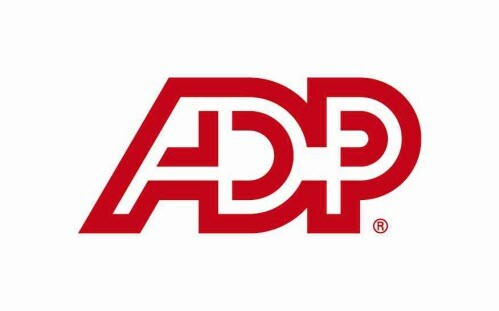 ADP Workforce now is an online HR application for midsized businesses that gather and automates the company’s HR Processes into one dashboard. The app allows you to manage all your employees’ benefits from one place and also generate insightful reports easily. ADP also offers core HR Capabilities such as attendance, late management, payroll, and benefits management. All of the benefits administration features are compliant with annual reporting requirements for IRS forms 1094 and 1095. Users also get status and confirmation reports with detailed info on premiums, deductions, covered dependents, coverage levels, enrollments, and beneficiaries. Paychex is a software Suite which offers HR, Payroll, and benefits management systems for businesses of all sizes. The app is designed to make managing tasks more efficient for companies. It encompasses payroll and taxes, insurance, employee benefits, 401 (K) retirement services, HR, accounting and finance and PEO (Professional Employer Organization). The System automation application tracking and expense management make the recruiting and expenses process much more efficient, and its cloud-based accounting makes tough accounting tasks a breathe. For larger businesses, Paychex offers the flexibility to scale their operations. Cloud-based solutions for enterprises combined with services give them the ability to manage their benefits, payroll, and HR more efficiently than ever before. Paylocity is a hybrid, cloud-based payroll and Human Resources Service that is created specifically for the lower end of the SMB market. Paylocity’s features are the service’s strength. Those features include their advanced reporting tools and smooth integration with the leading retirement plan, general ledger, and time and attendance applications. Web Pay is Paylocity’s payroll solution, and it offers an online payroll software that is more than capable thanks to its custom reports, compliance and other proactive features. Their platform can be accessed 24/7, and it offers features such as the paycheck calculator and third-party direct deposit. Another advantage for Paylocity is that it comes with QuickPay built in. Quickpay processes payroll in batches speedily and accurately. Paylocity also provides HR applications, including personnel tracking, learning management, scheduling, and more. ADP coordinates your business workforce management in a single dashboard. The application is transparent and allows you to manage benefits, commissions, bonuses, employee health statistics, time and attendance, and talent management. The app allows you to create customized spreadsheets, graphs, charts, and reports. It also displays analytics in real-time. The app offers to host along with your package, featuring server audits and regular security backups. ADP can be accessed on all mobile devices running on Android and iOS. Their mobile apps are fully synced with the web-based dashboard, and it gives you all the statistics and lets you view the reports anywhere you are. This way you can work anywhere, anytime. The Software package comes with video tutorials, a demo, and online support so you can always find help when you need to. The app will give you the analytics that can help you make better, smarter decisions. It also allows you to compare how your company is doing against benchmark data. Payroll and tax filling have never been more manageable. With ADP, your administrative duties, as well as your errors, will be reduced to a minimum. Automation and Streamlining features will genuinely make your life easier when using ADP. Paychex solutions try their best always to offer the latest and greatest technologies and services so they can stay ahead of the competition. Paychex’s system is flexible, and it allows organizations to manage their tasks the way they are used to. The payroll management System Paychex Flex can be accessed anywhere as long as you have a device that can be connected to the internet thanks to its cloud storage. Paychex’s payroll tax administration services will take care of the federal state laws and local regulations, so you don’t have to. The system will help your business be more productive while staying compliant. Paychex WORX offers their clients the fundamental and strategic knowledge that allows them to take timely action in the HR landscape. This is thanks to their webinars, videos, articles, and more. Paychex offers a range of employee benefits services including retirement and 401 (K), insurance, and more. Paychex also offers accounting and finance solutions which include payment processing services, online benefits management, expense management, and much more. Paylocity was specifically designed to simplify and streamline the HR Processes of your businesses. Paylocity’s intuitive and integrated tools were designed with one goal in mind: Making benefit enrollment smoother and faster. A Goal which they were able to achieve. With Web Pay – Paylocity’s banner payroll solution – you will be able to do more than just the standard payroll functions. Web Pay includes features such as custom reports, pre-process register, compliance, and many more. Web Pay also offers an all-new hire template that allows you to put hundreds of fields into a single screen to make collecting earning, deductions, demographics, and direct deposit information a breath. Web pay has a bundle of other useful features, most notable of which is the drag and drops technology so you can tailor your payroll and HR processes. It allows you to customize a variety of templates according to your unique needs. Other features include custom frameworks, data integration, custom checklists, and more. Paylocity offers a communication feature so that employee and management can communicate relevant information via notes. Management can also share insights and analytics to help employees with their decision making. ADP is web-based, so it works on any device connected to the internet whether this device is running on Windows, Mac OS, Linux, Android, or iOS.The mobility point here goes to ADP thanks to its native mobile apps on Android and iOS. Paychex is also web-based and can work on Windows, Linux, and OS. 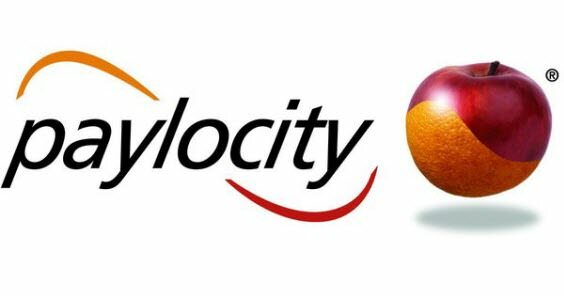 Paylocity is also web-based and runs on Windows, OS. For the three services, the pricing model is Quote-based, so you can’t get a price without asking them for a quote. Here’s our advice: Ask the three services for a quote based on the number of employees you have and the features and additional features you need. Make sure to factor in any other fees and get a total price and then you can compare between the three for yourself. This is done because every business is different and every package is customized to your own needs. ADP offers support via e-mail or phone. It also provides training. Paychex offers support via a Phone No. It also provides live support, training, and tickets. Paylocity offers every kind of support there is: Support via E-mail or phone. Live support is also there, and they provide training and tickets. Comparing the three services may seem like a challenge, but this is the only real way to get what is best suited for your needs. Every company has its characteristics, and your needs differ from the requirements of other businesses. It is always a good idea to read the reviews of any software you are thinking about trying. We’re not saying take the time to read every positive and negative review there is, what we’re saying is try to learn why each company has their dedicated customers. Why have they stuck up with the service? What is there to like and dislike about each service. What is right and what is not. What can the software do well and what kind of hiccups is it possible to run into while using the software. That kind of things can only be known through honest user reviews, which, thanks to the internet, can be found by a few clicks. So, take your time, compare them according to the unique needs of your business and see which will work best for your company. Also, always look if there’s a free trial available, or a demo. As always, if you have a question, leave it below, and we’ll do our best to get back to you. If you found this useful, share it with your friends, and if you have any suggestions for improvement, leave them down below!